I have a terrible confession to make, Babyologists. And it comes with a warning lest my confession offend. One of my favourite bits about being mum for the third time round is that I actually get to use all the fabulous baby gear we find instead of just telling you about it. 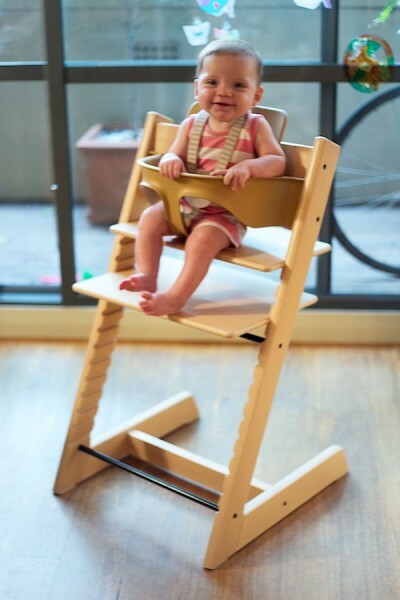 Gear like the Stokke Tripp Trapp. We’ve been banging on about how great this highchair is for some time, but now that I’ve actually used one for my baby girl, I have to take it all back. It’s not great, it’s so much better. In fact, it’s officially become one of those baby buys that I regret not investing in back when we had our first child. Ah well, better late then never. I don’t need to remind you about the Stokke Tripp Trapp’s sublime design – its good looks are there for all to see. What has impressed from my own use with Audrey is just how well thought out Stokke’s accessories are for this brilliant, brilliant chair. Take the newborn set. Though most babies don’t start the food journey until six months or so, that doesn’t mean they don’t want to sit up at the table with the rest of the clan. Sometimes having Audrey close and being able to make eye contact and talk to her made all the difference between having a hot dinner as a family or reheating my own meal forlornly in the microwave an hour or two later. It can also be used as a rocker on the floor. Now here’s the bit existing Tripp Trapp owners will really love – it can be fitted to any chair bought since 2003. Now that Audrey is a little older, we’ve moved on to the baby set (that’s my sweetheart in her Tripp Trapp pictured top). She loves sitting right up at the table with us, rather than off to the side as babies in ordinary highchairs with built-in trays are prone to do. The baby set clips in securely to the chair and has a high back and integrated crotch strap to support her properly. I like how the design makes it impossible to get both your baby’s legs through the same leg hole when putting them into their seat – I was always doing that with my old highchair! I also like how her feet are supported in the Tripp Trapp instead of being just left to dangle. We chose natural but there are a swag of different colours to the sets and chairs. There are cushions in a tonne of different colours and patterns too to fit the baby set if you prefer a softer seat for your baby. We use one when Audrey sits in her Tripp Trapp to play but usually whip it out when she’s enjoying a snack or food, even though it’s machine washable as she’s proven to be an incredibly messy eater! We haven’t tried our Tripp Trap in its guise as a child seat yet, as the baby set is designed to hold babies and children up until the age of three. But I’m sure that when we do, we will love it just as much. Check our past Stokke posts if you can’t wait for Audrey to grow and want to read more about using the Tripp Trapp with older children right now. The Stokke Tripp Trapp retails for $299 and is available from most big-name baby stores across Australia, along with the newborn set (RRP$ 225), the baby set (RRP$79.95) and the cushion (RRP$69.95). 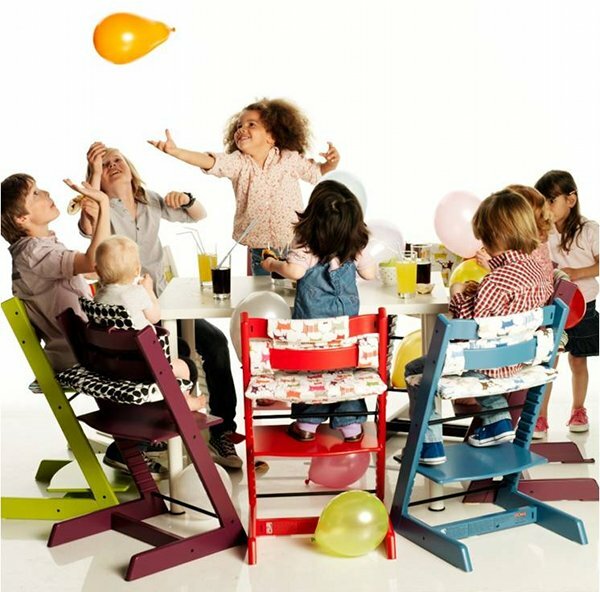 To find a stockist near you, visit the Stokke website.